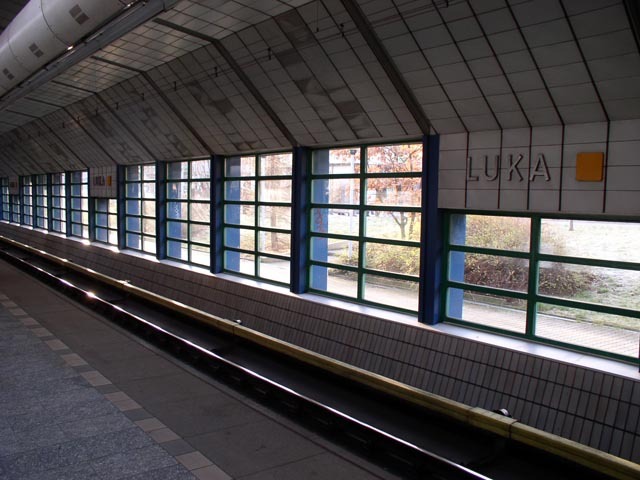 The name of the station Luka means "meadows" and it probably described the original appearance of this place. 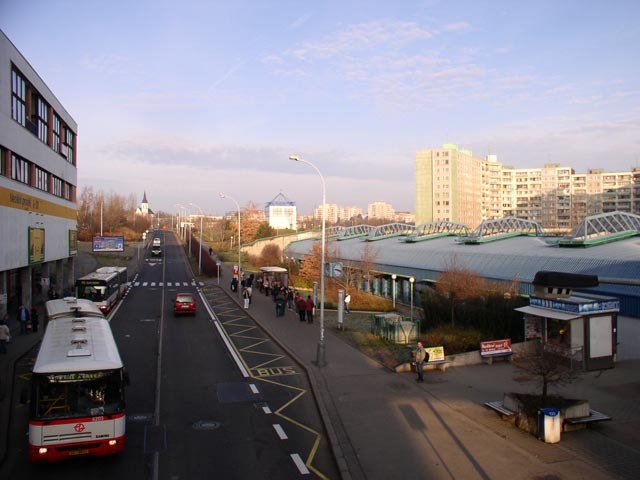 But today the station is in the middle of housing estates, forming the "Southwest Town" - a large area of apartement block in the southwest of Prague, served by five metro stations (Nové Butovice, Hůrka, Lužiny, Luka and Stodůlky) and several bus routes. 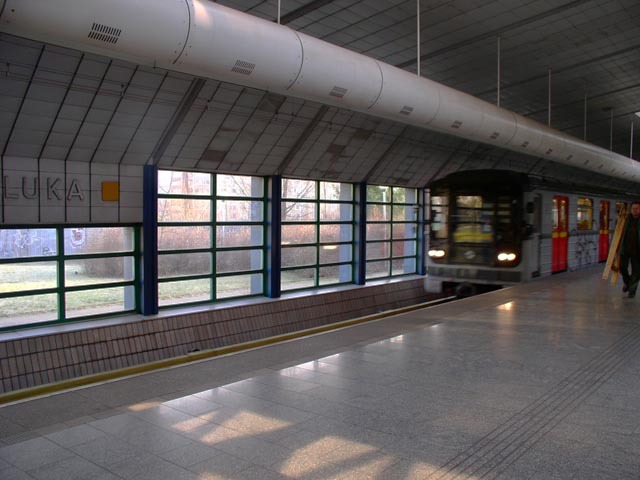 Luka was built in 1994 as a part of the V.B section, which connected the former terminus Nové Butovice with Zličín, where also a new depot for line B was built. A view of the same area from the opposite direction. The previous photo was taken from the foot bridge over the street. 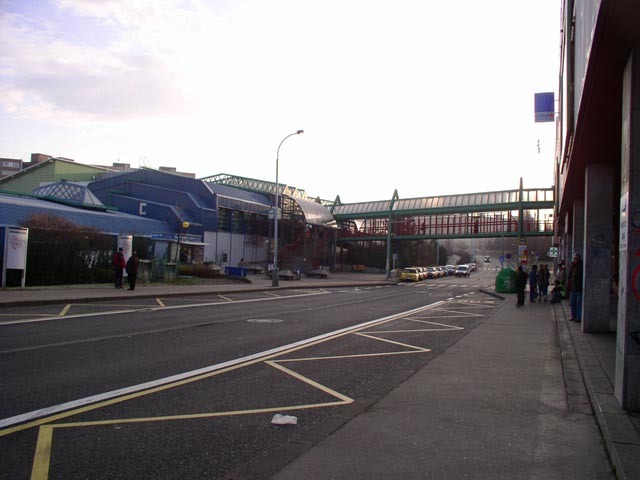 The station is on the left and in the highest part with the skylights atop there is the ticket hall. 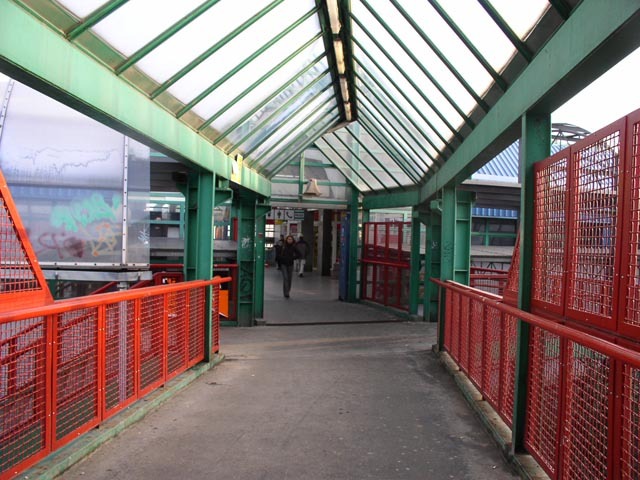 The entrance to the vestibule of the station from the foot bridge you could see on the previous photo. 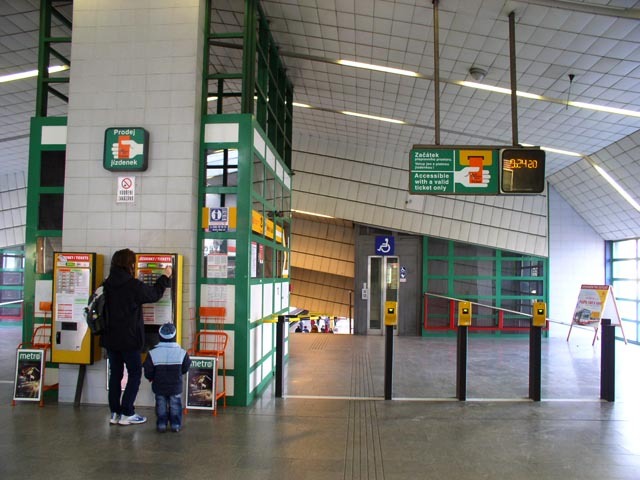 The vestibule. 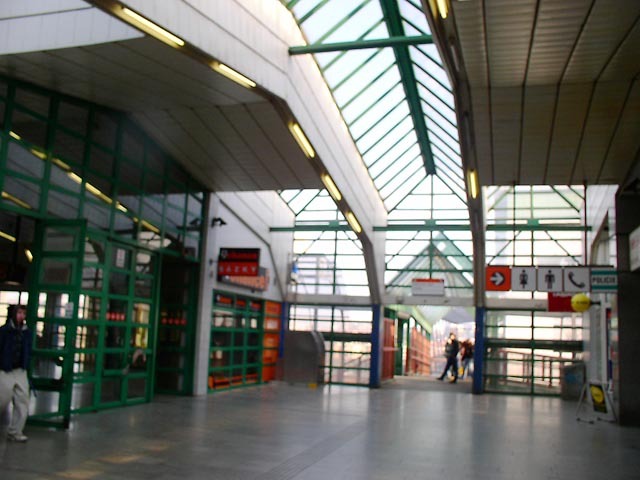 To the left there is the access through the ticket hall to the platform. The ticket hall with ticket machines and the supervisor's box. Behind it there is a stairway down to the platform. 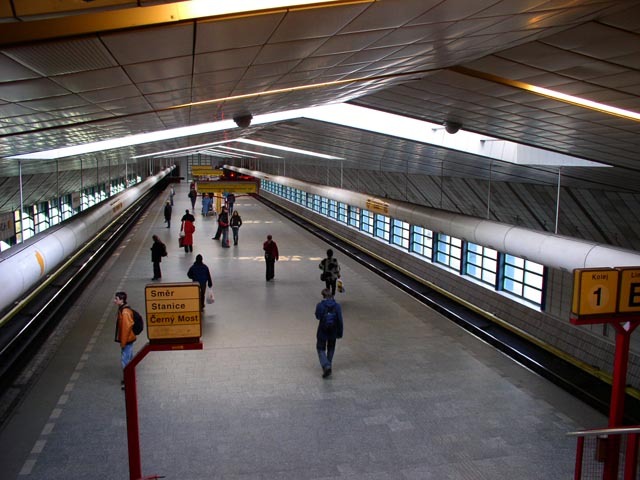 The platform as viewed from the stairway. 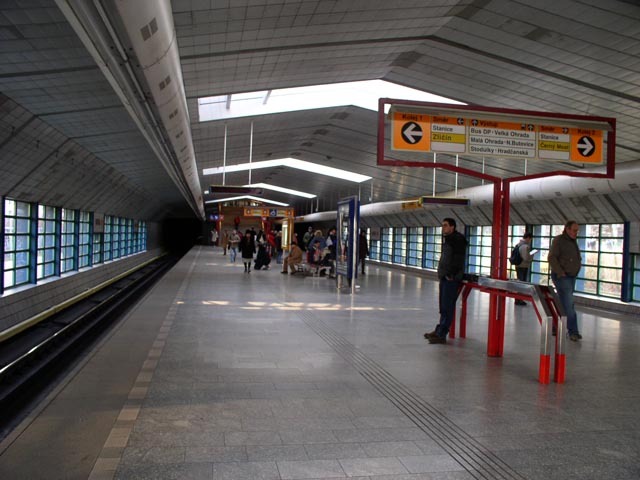 On the left there is the eastbound track; you can see a sign in the front saying "Direction / Station / Černý Most". And this is the platform viewed from the opposite direction, so in the background you can see the stairway to the ticket hall. A close view of the eastbound track and the glass wall behind it. The westbound train of the old 8171 stock arriving at Luka.